It wasn’t very long ago that Nintendo revealed that Tokyo Mirage Sessions #FE will be released on June 24, 2016, in North America and Europe for the Nintendo Wii U. A collaboration between Intelligent Systems (the developers of Fire Emblem) and Atlus, the game will introduce a whole new style of gameplay set around pop idols and action. 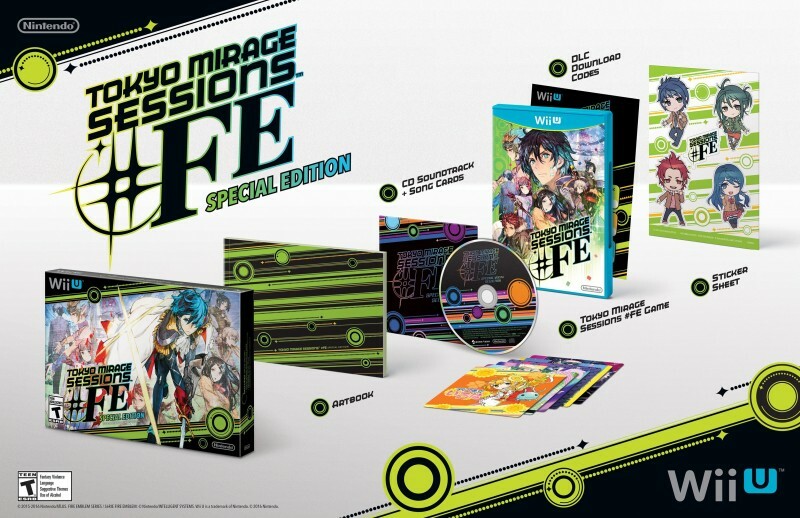 Now Nintendo has also announced that it will be releasing a Special Edition of Tokyo Mirage Sessions #FE which will include a bonus artbook, soundtrack CD featuring six tracks from the game, six song cards, a sticker sheet and DLC codes for all five sets of downloadable content which separately will cost $1.99 each. The Special Edition will retail for $79.99 while the regular version of the game will retail for $59.99.